Max Blumenthal: “But the social media continued. Do you think you responded effectively enough? 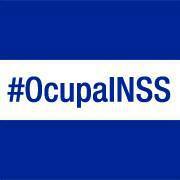 *The @OccupaInss twitter account contains what could be said, the key architects of the destabilization movement (396 following, 15k followers, with 52, 274 “likes”on Facebook. Accessed August 24, 2018). The account follows three international NGOs. Two being Avaaz and Amnesty International (as well as Amnesty International Press – @Amnestypress ). Also followed is the US Treasury Department, the Organization of American States (OAS) (a colonial thorn in the side of Venezuela, Bolivia and Nicaragua), the U.S. Department of State Spanish twitter account. The third international NGO followed is Bianca Jagger, President and Chief Executive of the Bianca Jagger of the Human Rights Foundation under the twitter account Bianca Jagger Nicaraguense por gracia de Dios with 69.5k followers.